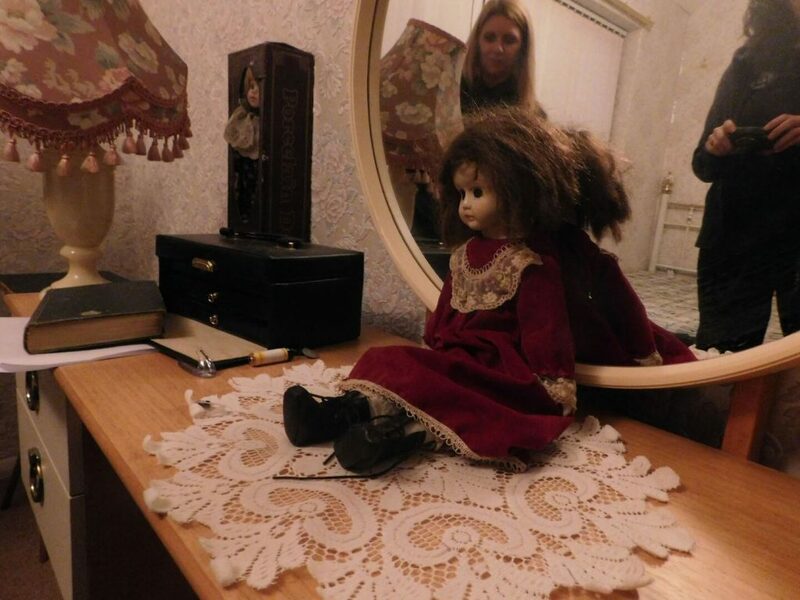 Inside The Home of Europe's Most Violent Poltergeist! 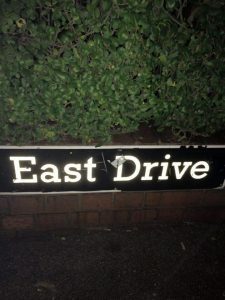 Situated on the corner of a very average street in a completely nondescript Yorkshire council estate on the outskirts of Pontefract sits 30 East Drive – a Bed & Breakfast with a twist! This is perhaps the only such rental property where the owner actually discourages people from coming to stay! Why? Well, because 30 East Drive is occupied by ‘Fred’, an entity said to be the most violent poltergeist in Europe! If you have ever seen the horror movie ‘When The Lights Went Out’, then you may already be familiar with Fred’s story – in fact, the house is owned by the movie’s producer Bill Bungay who says that he tried to keep as many of the key elements of the original story intact in his retelling as possible. The story goes that Jean and Joe Pritchard moved into the house in 1966 along with their two children, Phillip (15) and Diane (12). 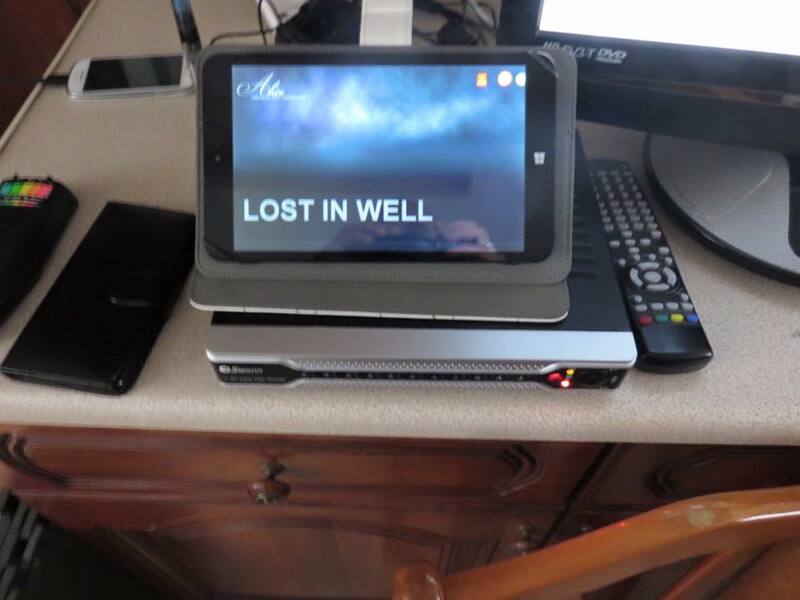 The strange occurrences happened almost from the start with random pools of water appearing on the kitchen floor and unexplained chalky dust falling from the ceiling. Over the next couple of years, the activity escalated to include violently rattling doors, levitating objects, lights and taps being turned on and off and even green foam seeping from the taps. The family nicknamed the entity Fred in the hope of normalizing the events, and would often laugh off his antics which admittedly could be amusing at times – for example, dumping a jug of milk over a sceptical aunt’s head much to the delight of the children. However, as time passed Fred seemed to grow stronger and more violent. People were slapped and even pushed down the stairs, especially when Jean tried to have the property exorcised. It is not really common for a poltergeist to cause physical harm to the living, but Fred soon took to causing many bruises and scratches – not to mention heart stopping frights. It was Diane who seemed to bear the brunt of his attentions. One at least one occasion her long hair is said to have been pulled completely up on end and she was even dragged kicking and screaming up the staircase, after which she was left with finger shaped bruises on her throat. Today, Fred is still happy living in 30 East Drive along with a couple of other spirits and entities, one of which is said to be a young girl and another which is an elemental creature. He is still causing plenty of mischief and the house’s website is currently listing almost 300 ‘recent happening’ which include ‘Diane’s Room’ being completely trashed in the middle of the night. Many visitors and paranormal investigators have stayed at the property and several have captured photographic anomalies or witnessed strange phenomenon. Many have failed to make it through an entire night, instead choosing to leave early. So of course, when offered the chance to accompany a team of paranormal investigators from Glasgow Paranormal Investigations on a 5 hour drive to stay the night I jumped at the opportunity! The house has been preserved and dressed in keeping with the sixties and seventies when the hauntings were most prolific and it is filled with lots of props and décor items from the era. 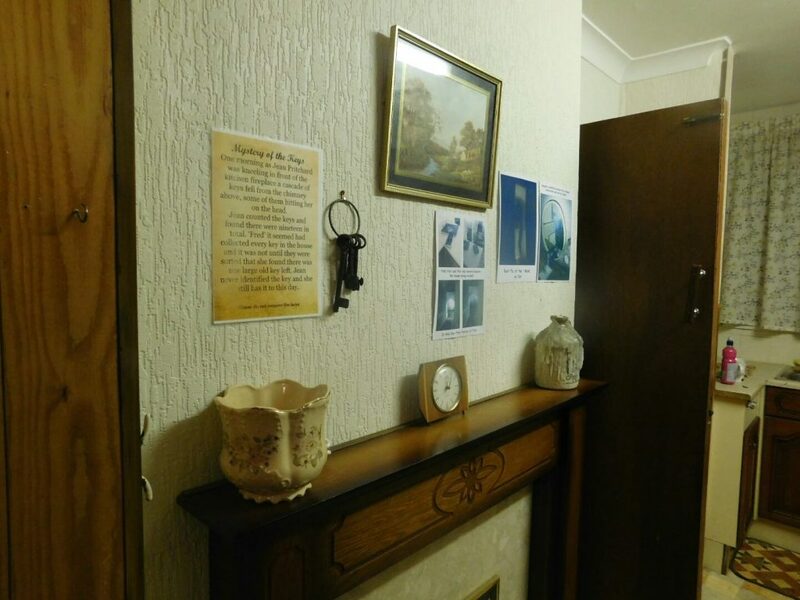 We entered via the kitchen/dining room where the fireplace is adorned with some of the most interesting photographs taken by guests along with a print out telling the infamous story of the keys. Fred has a thing for keys and at the height of the hauntings Jean Pritchard reported that a bunch of keys with every key to the house on it dropped down the chimney, but that an old medieval style key had been added. More recently, guests at the house reported losing the keys to the house only to find them inside an old vacuum cleaner! The caretaker warned us to keep the key to the house in someone’s pocket as if it was left lying somewhere it would almost certainly go missing! This was just one of a number of house rules that everyone had to agree to in order to spend the night in the house. Others included things like not using a Ouija Board or attempting to exorcise the spirits, while others were labelled as ‘Fred things’, like making sure that the kettle was full, but unplugged when not in use as not doing so was likely to enraged the entity! Once everyone had agreed to the rules, she told us she had already ‘warmed him up’ and left us with a wish of good luck for the night ahead! Moving into the lounge area it is like stepping right into the past! Everything in the room (aside from the flat screen television) is right out of the sixties. It is actually impressive how much effort has gone into sourcing all of these items. It is not just the furniture and the décor, but also the various smaller items like vases, clocks and of course toys! 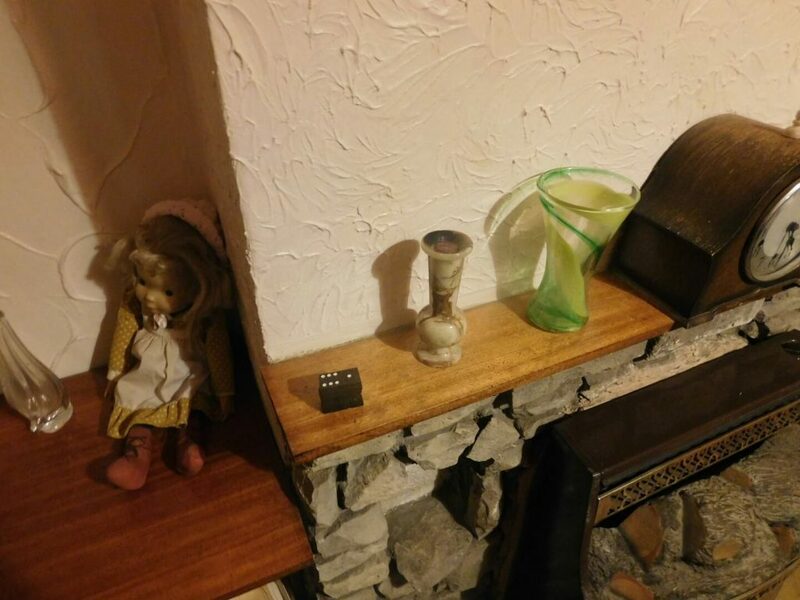 There were two overriding themes throughout the house – religious items and dolls – because clearly the house wasn’t creepy enough with just the resident spirits! The first thing that we noticed on entering the lounge area was the smell. This is an old house and it is pretty rundown, so the dank musty smell was not all that surprising. However, it actually comes from the well beneath the floor of the lounge. A well that the body of a murderer – The Black Monk of Pontefract is alleged to have been thrown after he was hanged for his crimes. There is some debate over whether or not the black monk and Fred are one and the same person, or even if the entity is a monk or if this name simply came from the appearance of a figure in a dark robe. One of the most interesting pieces of evidence we collected during our visit was a message that whoever we were communicating with was ‘Lost in Well’. There were also many small marbles and coins around the house which I believe have been placed there for Fred to move. He is apparently quiet adept at rolls marbles around and throwing coins. During our stay we experienced this phenomenon for ourselves. 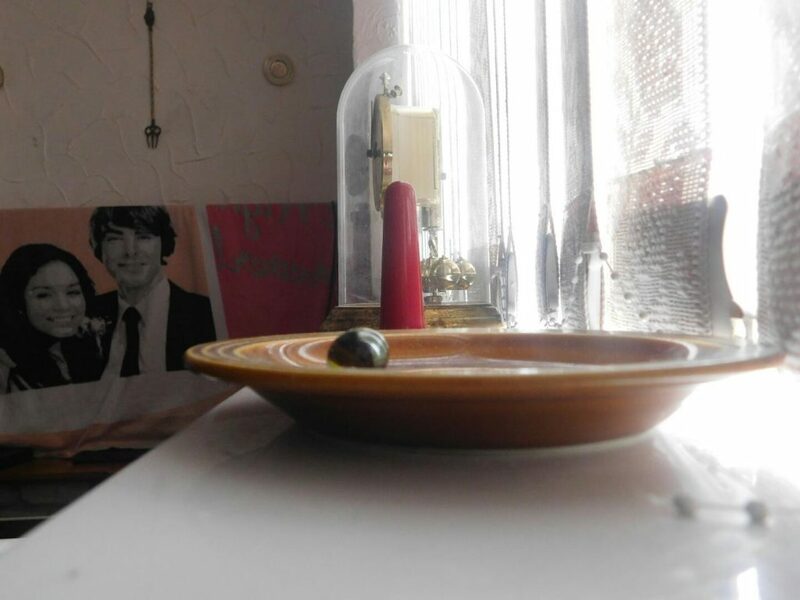 The two marbles in this dish were sitting on opposite sides of the dish all night long, but the following morning the suddenly moved together until they were touching. One moment they were where we left them and we left the room for a moment only to return and find they had moved! Unfortunately, throughout our stay Fred proved to be very sneaky and this occurred after we had taken down all of the recording equipment and were packing up to head home! One of the most infamous spots in the entire house is the staircase. 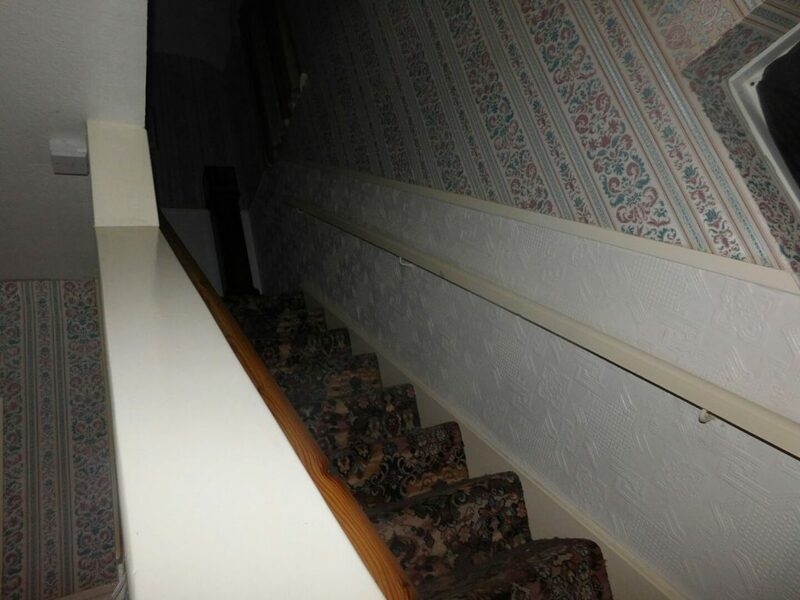 This is where Diane was said to be dragged backwards upstairs by her hair and there has been numerous reports of people being pushed on the stairs as well as some interesting photographs captured. There was definitely a strange feeling here and none of us particularly wanted to linger on the stairs for long. Even while in the lounge area we were all feeling like someone was watching us from the hallway and several of the group heard a disembodied voice come from there when we first arrived. We made our way upstairs and everyone noticed that the energy in the upper floor of the property was much more oppressive than in the lower rooms. That is probably one of the main reasons why all of us ended up sleeping on the floor in the lounge despite there being 3 bedrooms! Well, that and the fact that it was cold! Intermittently throughout the night some of the doors would refuse to open and a foul smell of rotten meat, sewage and wet dog also came and went. We didn’t spend too much time in Philip’s room, mainly because there did not seem to be too much of an atmosphere in there. 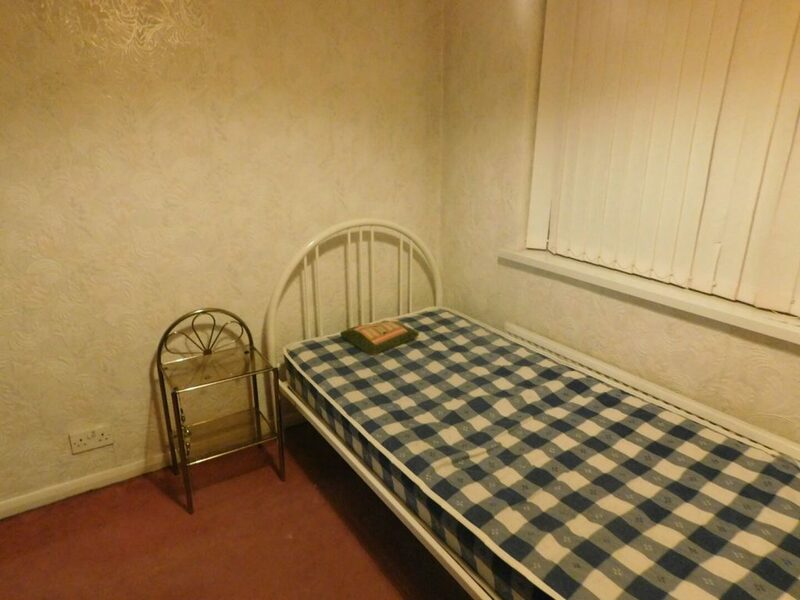 There isn’t all that much to see in the room, just the single bed and night stand. However, the parents’ room next door was an entirely different story and ended up being the place where we spent most of our time. 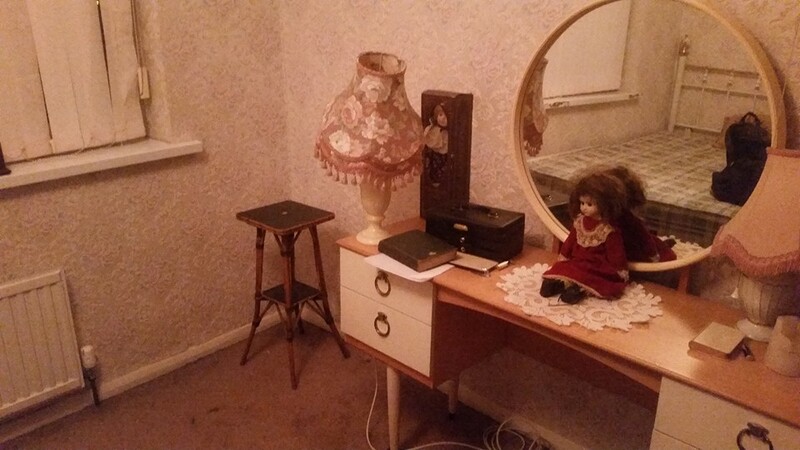 Again, the room was dressed with a variety of sixties and seventies style props including several of those creepy dolls! 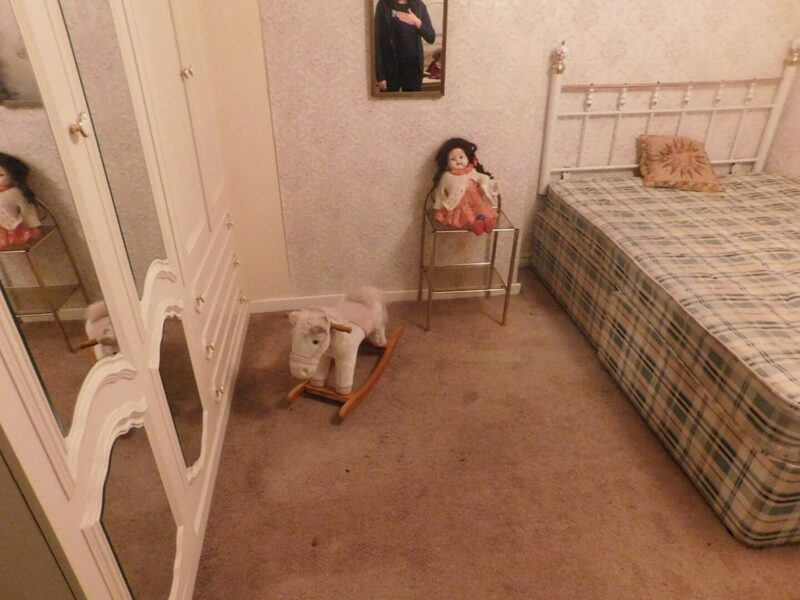 It would not have surprised me in the least if that doll in the red dressed had turned its head to look at me! This room had its fair share of activity for us throughout the night and several people wound up with bruising after being pinched or prodded by unseen hands. This is also the room where I captured an interesting image which might just be something sitting on the bed in the room. The images below were taken just seconds apart. 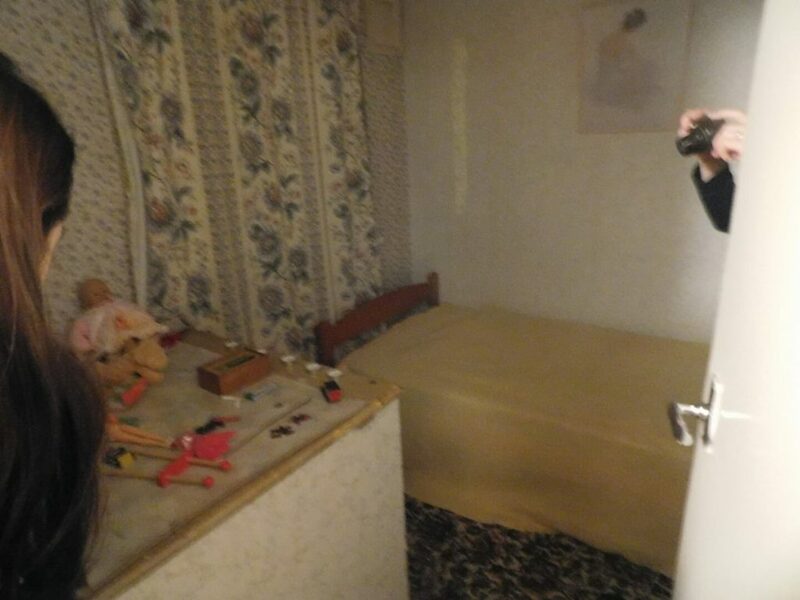 The final room in the house was the small bedroom which was once Diane’s room. This is a room which split opinion in the group. Some people felt comfortable in the room and felt like it had a welcoming atmosphere, while others felt like it was oppressive. This was the room which was recently completely trashed including the bed being broken! 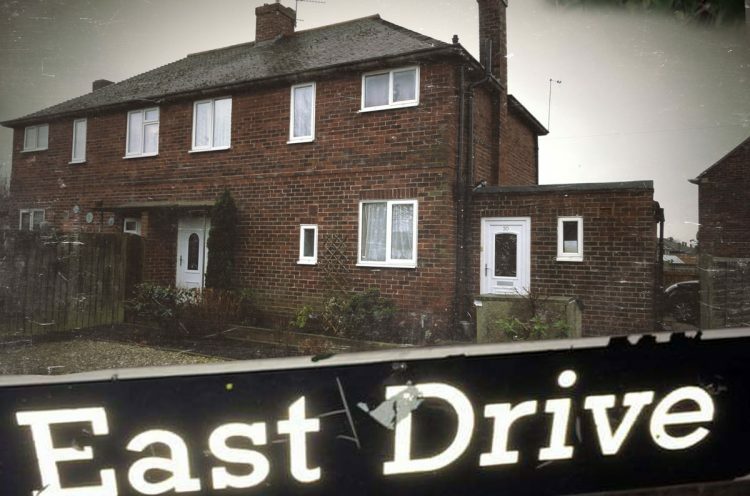 Overall, 30 East Drive is an interesting place to visit. I will admit to having had some trepidation about staying there overnight, but we all lived to tell the tale and most of us even managed to catch an hour or two of sleep! Fred certainly made his presence known to us and did not disappoint. This is one haunted house which is well worth the visit if you think you are brave enough.